Copyright and the Myth of the “Ten Percent Rule” - Gottlieb, Rackman & Reisman, P.C. Patiently, I explained that there is no magic formula that can help someone avoid a claim of copyright infringement. And even as I explained it, I knew that I would be answering the same question another day from someone else, since no matter how diligently the IP community sets about debunking this myth, it remains resolutely unkillable, like a stubborn weed. Nevertheless, since this bogus formulation survives, and because giving it credence may ultimately result in an allegation — perhaps even a judgment — of copyright infringement, it is important to understand why this widely held belief has no basis in the law. In one recent case, James Tufenkian, a carpet designer, created a pattern by digitally scanning two public domain carpet designs. Tufenkian removed some of the elements from the first image, reconfigured remaining elements and cropped and elongated the design; the result was asymmetrical, departing from the balance of the first motif. Working with the second public domain design, Tufenkian simplified the border by extracting certain elements. Tufenkian then combined the pared down border with the elements from the first design, and added two additional borders. Some years later a second carpet designer, Marcy, who had worked for Tufenkian, created a carpet design based in large part on the first public domain work used by Tufenkian. In creating his design, Marcy added elements not present in Tufenkian’s pattern; preserving aspects of the public domain designs that Tufenkian had discarded and omitting others that Tufenkian had adopted. Marcy also made further modifications to the border present in the second public domain design. In short, Marcy made several individual changes to Tufenkian’s pastiche — but the resulting work was nevertheless reminiscent of Tufenkian’s original. The two designs are shown below. Tufenkian learned of Marcy’s iteration and his company eventually filed suit for copyright infringement. In reviewing the case, the Court of Appeals first noted that it is no defense to copyright infringement for an alleged infringer to show how much of the original work they did not copy. The court further observed that while many of Tufenkian’s acts in creating the Tufenkian design may have seemed simple and mechanical, Tufenkian had in fact made “distinctly idiosyncratic and particular design decisions” by selectively cropping, elongating, and eliminating various motifs present in the public domain designs. 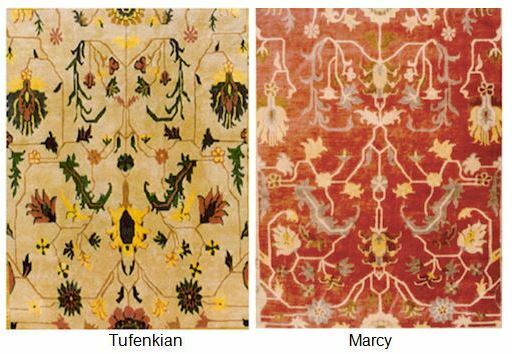 According to the court, this was a selective culling entitled to copyright protection, and review of the competing carpets showed that the Marcy design mimicked nearly all of Tufenkian’s choices. Accordingly, the court found that the Marcy had infringed Tufenkian’s copyright. This case starkly illustrates that courts will not merely count the number of changes between an original work and its accused copy to gauge an allegation of copyright infringement. Courts do not look to the mere quantity of changes from one work to the next; rather they rely on the quality of those distinctions. A mere percentage analysis is inapt and irrelevant. 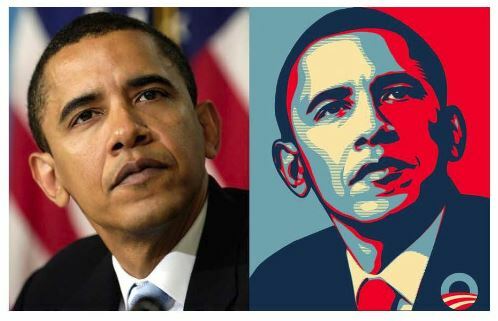 How is Copyright Infringement Determined? In the United States, copyright infringement occurs when the owner of a valid copyright can prove unauthorized copying by establishing that an alleged infringer had access to the prior work and incorporated so much of its characteristics as to render the new work “substantially similar” to the original. The question of whether two works are “substantially similar” means that infringement can be found even where they are not identical, as in the Tufenkian case. Indeed, the subjective nature of substantial similarity does not lend itself to the mechanical application of formulas — yet another reason the “Ten Percent Rule” has no basis in copyright law. While Fairey did make changes, they were not sufficient to conclusively avoid a claim of infringement. Making a specific number of changes simply does not render the later work sufficiently original to avoid a charge of infringement. One final example exposes why the “Ten Percent Rule” is so urgently in need of a swift debunking. In a 1985 case, the Supreme Court ruled that a magazine’s reproduction of a brief but newsworthy excerpt of a forthcoming book was an infringement. In that case, Harper & Row, the publisher of President Gerald Ford’s autobiography, granted Time magazine the exclusive right to publish excerpts from the book in advance of its publication. Before Time could publish those excerpts, however, The Nation, a competing magazine, published, verbatim, the part of the book that most readers were most interested in — a passage totaling approximately 400 words relating to Ford’s pardon of President Nixon. Its thunder stolen, Time withdrew from its contract with Harper & Row to excerpt material from Ford’s book, prompting Harper & Row to sue The Nation for copyright infringement. Ultimately, because The Nation took the heart of President Ford’s book and caused Time to withdraw from its contract, the Supreme Court found this taking to be an infringement, despite the fact that The Nation published little more than a few paragraphs of Ford’s book. This case aptly demonstrates that it is not the amount of material copied that determines infringement, but its significance. The mechanical application of an ersatz “Ten Percent Rule” does not — indeed, could not — take that truism into account. There are also practical impediments to the application of a so-called “Ten Percent Rule.” For example, no court is able to determine what constitutes ten percent of a design. The more one considers the “Ten Percent Rule,” the more the rule begins to collapse under the weight of its inadequacy. Unfortunately, since the fable of a “Ten Percent Rule” has been so frequently repeated, its intellectual failings are not given due consideration. Ultimately, “The Ten Percent Rule” is nothing more than an inconvenient myth without basis in the law and will not be accepted by any court. It cannot be relied upon to protect you from charges of copyright infringement; indeed, as can be seen, relying on the Ten Percent rule could very well result in accusations of copyright infringement.